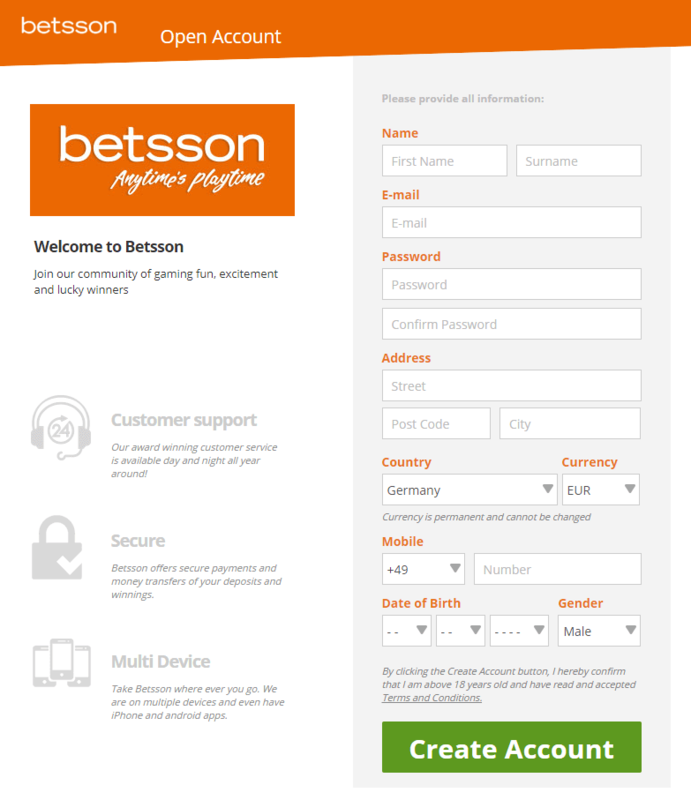 Betsson is a Swedish company which was established in the early 2000s. They have quickly gained success and have become one of the most popular sportsbooks in the world. The company owns a gambling license in Malta and the United Kingdom. Betsson is operated by the Betsson Media Ltd. which is registered in Malta. The company offers a large range of online gaming products including sports betting, casino, poker, games and more. Their main product is the Betsson Sportsbook which features over 4.000 sports betting channels with highly competitive odds. Customers can also take advantage of plenty of other convenient features such as live betting, a fantastic live streaming service and a great mobile app. 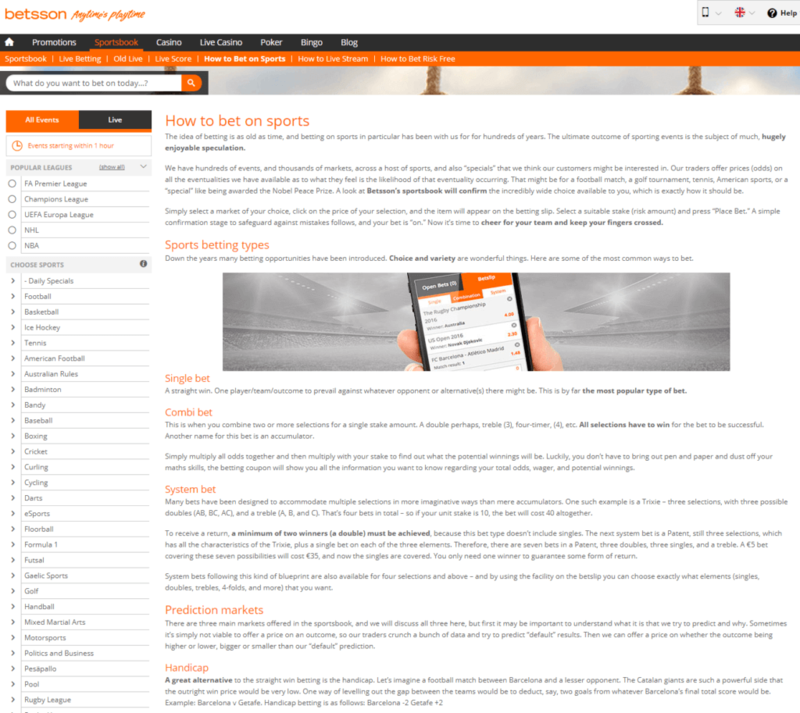 Check our in-depth review of Betsson and find out why you should join one of the best sportsbooks in the world. 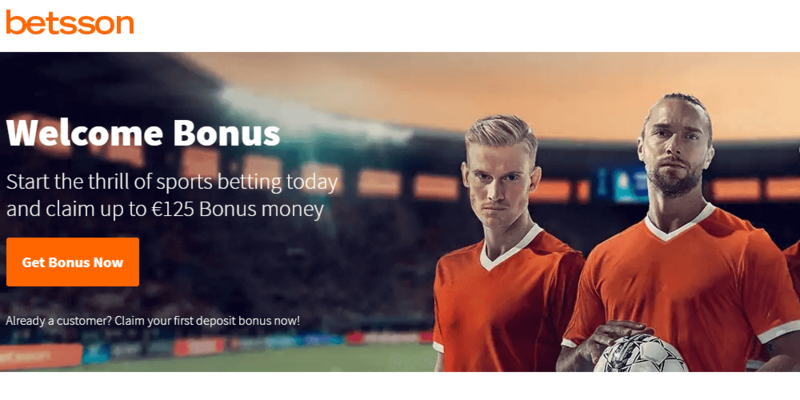 If you decide to join Betsson, you can claim a €75 welcome bonus. Deposit €10 or more into your account and you will have €50 in total to bet on sports. Follow the steps shown below to get your bonus! Locked amount + Bonus amount must be wagered 10x at a minimum odds of 1.50. Please make sure to use our sign-up link to start the free registration process. You will now be redirected to their homepage, where you just need to click the ‘Open Account’ button in the top right corner. Make a deposit and you will receive your €75 Welcome Bonus and will be able to participate in all other Betsson promotions. Football, Basketball, Ice Hockey, Tennis, American Football, Australian Rules, Bandy, Baseball, Boxing, Cricket, Cycling, Darts, eSports, Floorball, Formula 1, Gaelic Sports, Golf, Handball, MMA, Motorsports, Politics and Business, Pesäpallo, Pool, Rugby League, Rugby Union, Snooker, Special markets, TV Events, Volleyball and Winter Sports. 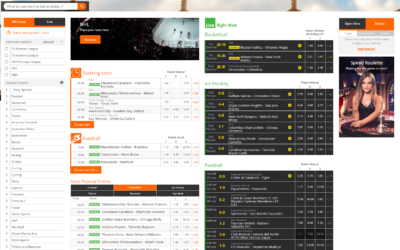 Besides those above mentioned sports you can also find some daily specials which are offered by Betsson. These offers are enhanced odds offers for certain events in the world of sports. For example you can bet on Arsenal, Chelsea, Manchester City and Liverpool to win their Premier League games and enhanced odds. These kind of offers are in most cases available for football events. As you can see, they are also running large amounts of different sports. 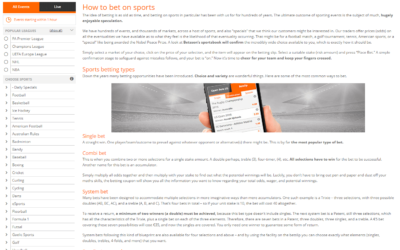 Betsson is not only focusing on some major sports like other bookies. 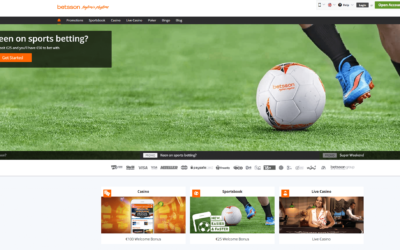 They are really interested in keeping their customers entertained by providing betting options for all types of sports. If you like to bet on exotic events and non-standard sports, this bookie is definitely the right choice for you! Betsson is also a great choice if you like to bet on eSports. Even though they were not the first bookmaker to offers bets on eSports, they have really improved their options and allow you to bet on all kinds of events and games. Betsson is doing a good job of providing competitive odds. They are ok, but not decent. In fact you might consider the betting odds Betsson’s only weakness. Most sports will feature a betting margin of around 5% which is not spectacular but still fine for an European bookie. When we are talking about odds you have to take a look at the best margins offered by Betsson by sports. The bookie is charging a low margin of approximately 3% of their football betting markets which is decent. Another decent margin is charged for American Football games at ~ 4.5%. However, they are capable of making up for their rather mediocre odds. The bookie is running lots of promotions for their customers which can provide you with some additional value. On top of that they are also offering enhanced odds. 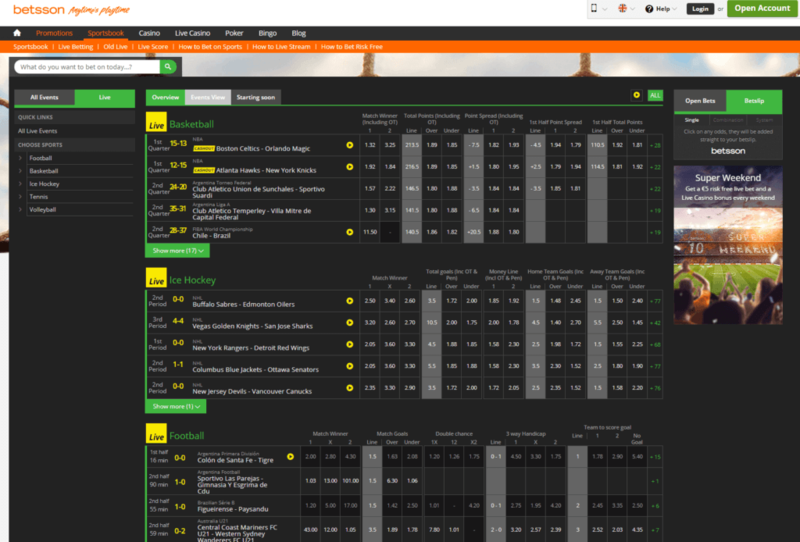 However, if you are looking for better enhanced odds you need to take a look at some other sportsbooks and also check our enhanced odds page, where we summarize the best and most profitable offers for you. Even if 10bet is one of the best when it comes to odds, you still should always compare before placing a bet to not miss any value. 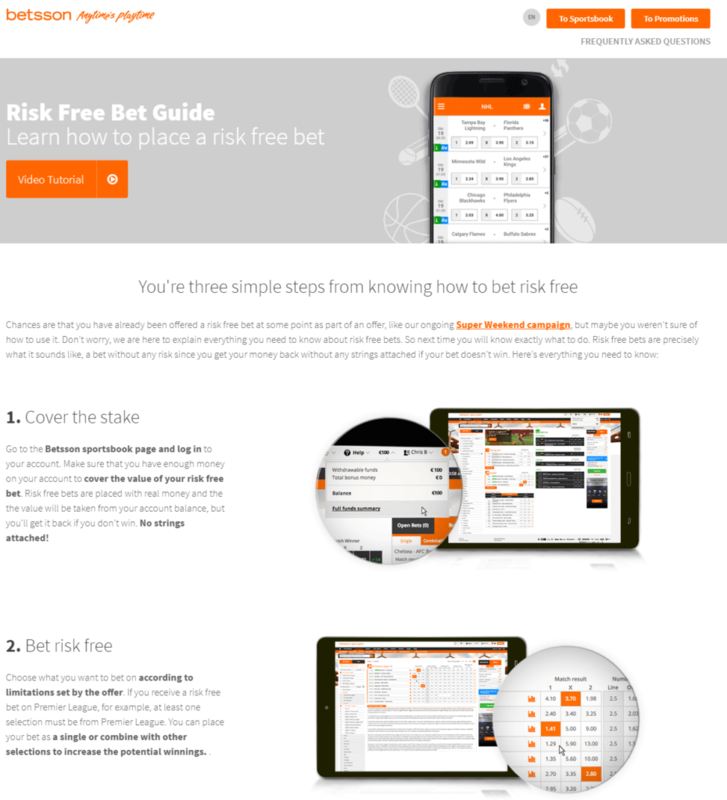 If you enjoy betting live, Betsson is one of the best options for you. Not only do they have live streams waiting for you, but the live betting area in general is really great. The overall design of the website is clear and appealling and allows you to browse through lots of odds and events. 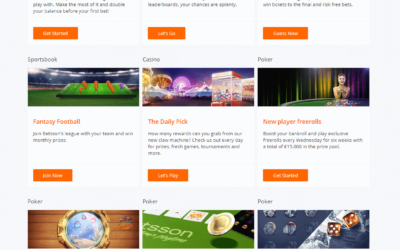 Betsson is offering many different types of sports and events to bet on and features loads of different betting options for basically all of them. Football, Tennis, Basketball and Ice Hockey are the main sports, but you can also find some other types of sports from time to time. 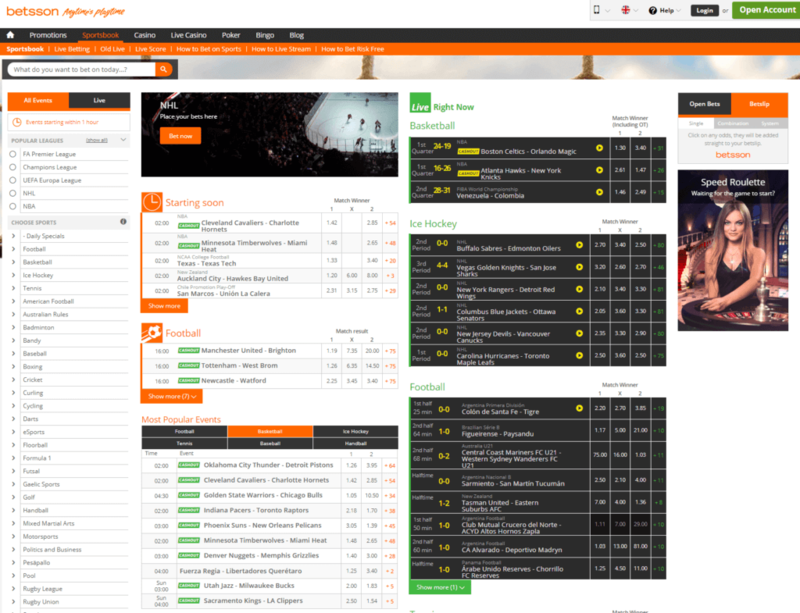 Betsson is also providing you with different overview options to filter the currently ongoing games. The “Starting soon” tab helps you to figure out when the game you are waiting for is about to start. 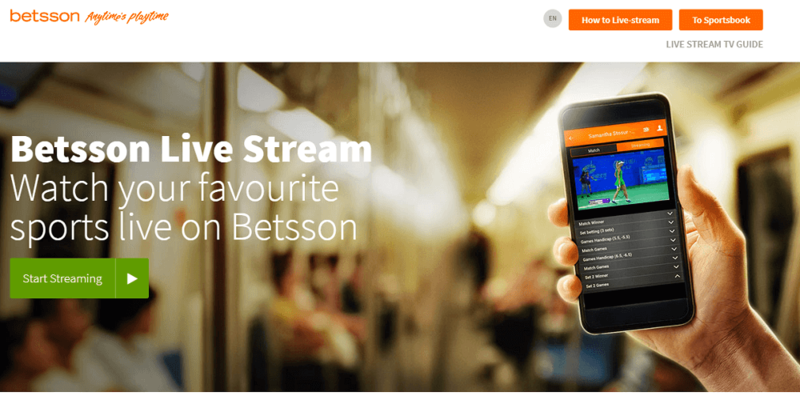 Honestly, betting live with Betsson combined with their great live streams feature is a great experience. You will quickly realize that the people who have designed the website definitely knew what they were doing when setting up the live betting area. Start Live Betting with Betsson! Betsson is a great choice if you enjoy watching live streams and placing bets. The Scandinavian bookie offers you plenty of different live streams every day. You can check their free live stream tv guide regularly in order to not miss out on anything. 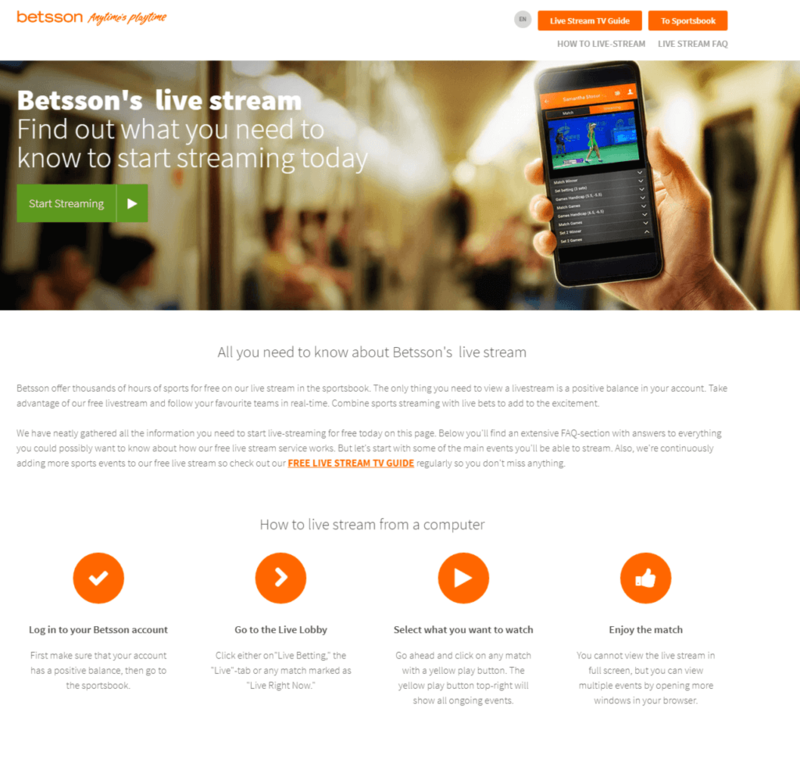 To watch the Betsson live streams you have to sign-up with them first. Afterwards you can start watching some of the most exciting sporting events in the world including Spanish La Liga, German Bundesliga, ATP Events, NBA matches, MLB matches and more. With Betsson you can also watch multiple live streams at the same time, they are also adding more and more events and therefore great entertainment is almost guaranteed. You can also use your mobile phone or tablet to watch the live streams. Just download their app, go to the live video lobby and select your match. The match is going to pop up and you are ready to watch it. Betsson offers a decent range of payment options, so that every customer will find a way to easily deposit into their sportsbook accounts. The following table gives you a quick overview about the most important payment options and their fees and limits. Betsson is well known for their great amount of promotions. They offer plenty of different promotions for all of their products including the Sportsbook, Casino and Poker. Registered Betsson customers can participate in all of the available offers which provide you with amazing benefits. If you enjoy betting on sports, you can partcipate in the Betsson Champions League and Fantasy Football promos. Betsson is adding new promotions to its site on a regular basis, so you should definitely make sure to check their Promotions Page regularely to benefit from the promotions. Betsson Champions League -Guess right and get up to €40 risk free bets on the next Champions League week’s matches and chances to win tickets to the final. 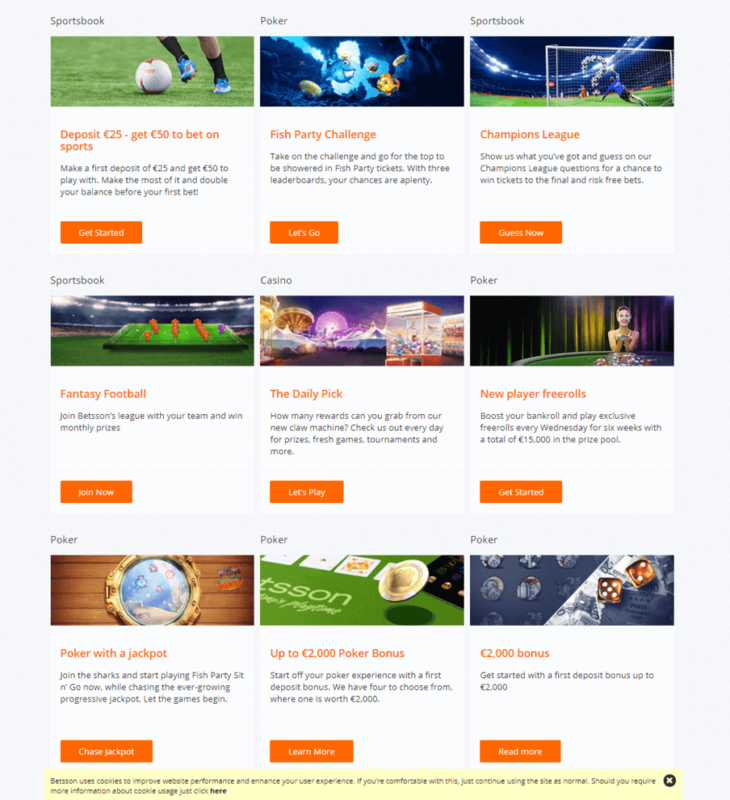 Betsson Fantasy Football – Create a fantasy team and win prizes every month. Super Weekend – Enter the promotion and bet €10 during the week. 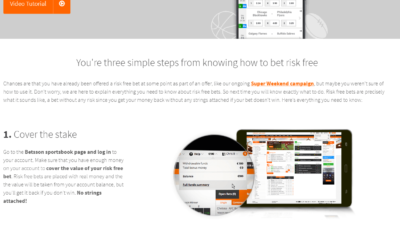 Bet risk free live that weekend with a €5 risk free live bet issued by Betsson. Sportsbook Gifts – Win exciting prizes such as free bets, tickets to the Champions League Final, cash prizes & gift bags, Man Utd VIP Box Packages and more. If you are still not satisfied with the generous offers, we have great news for you! We are running our own private promotions for our customers. You can win exciting prizes including free bets, jersey and cash! 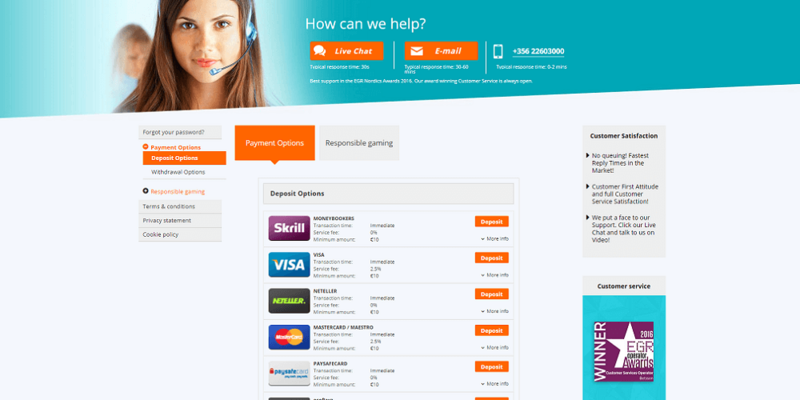 Betsson is the largest online gaing company operating in Malta. They have growing rapidly since opening their first office in 2005. Betsson started with just 30 employes and is now employing more than 1.000 people in Malta and 1.200 in total employees in its offices around the world. The company is continuing to grow and contributes a large part of the 12% of the Maltese GDP which is generated through online gaming. Betsson has a track record of more than 5 decades in the gaming industry. The company is owned by Swedish Betsson AB, one of the world’s largest gaming groups, which has been providing gaming entertainment for more than 50 years. Their website Betsson.com is fully owned and run by the BML Group Ltd.
Back in 1963 AB Restaurang Rouletter is founded by Bill Lindwall and Rolf Lundström. The company was mainly conducted in souther and central Sweden and quickly started growing into one of the countries biggest gaming companies. In 1973 new legislations enabled restaurants to sell wine to provide slot machines with winnings payable in local Swedish currency. Just five years later, the Swedish Parliament passed a resolution which effectively banned slot machines which was followed by a reorganisation of the company. The company decided to finances the acquisitions with a new share issue and also expanded their business to Eastern European countries. The developments in Eastern Europe resulted in big losses for the undertaking and the board passed a resolution to streamline operations and reduce or liquidate operations in Eastern Europe. In 1998 they have acquired 35% of Net Entertainment AB and one year later they also acquired First Casino and signed a partnership agreement with AB Svenska Spel. At that time the company was also investing excess liquidity in IT companies, primarily within the Internet sector. Cherry buys into the English sports betting company Betsson.com in 2003 and Net Entertainment delivers Casino Modules to several online gaming companies. In 2008 Betsson announced that they have officially passed 1 billion SEK in revenues. One year later one of Betsson subsidiaries launched sportsbook gaming for mobile phone and was named the most responsible gaming operator at EGR Awards. 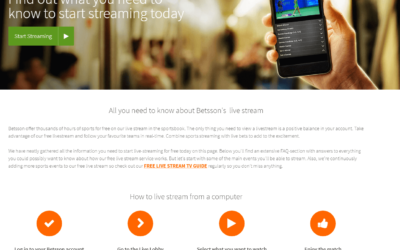 Android and iOS device users can experience Betsson whenever, wherever. The Betsson mobile app features three high-quality products: Casino, Live Casino and Sportsbook. The sportsbook allows you to get in on the live action and bet when your team is playing. You can follow your matches and odds on live streamin real time. The casino featured loads of exciting and entertaining games. Take down huge jackpots, spin your favourite slots, join the blackjack action and roulette tables. The mobile app will get you access to your account no matter where you are right now with any of your mobile devices. You can use a mobile app for all your Android and iOS devices. The iOS app can be downloaded from the Apple Play Store. However, it is a bit more complicated with the Android app. The reason for that is Google’s strict policy against gambling and therefore they removed the apps from their store. However, most bigger sites are fully aware of this problem and provide a link to download the app on their sites and so does 10bet. Go to the App Store from your iPhone/iPad. Simply tap the “GET” button to start the download. You can also download the app on your Macbook from iTunes and then transfer it to your handheld device. Go to betsson.com on your mobile. Tap “Betsson Android – free download” at the top of your screen and then “Get the App”. Settings > Security > Unknown sources > Switch on unknown sources. Odds Format: Fractional, decimal odds, American odds. Live Betting: Great amount of sports featured and decent amount different of bet types. Sports & Leagues: Motor racing, soccer, tennis, ice hockey, handball, basketball, baseball, american football, rugby, cycling, boxing, futsal, darts, badminton, cricket, pool, speedway, hurling, volleyball and many more. Betsson is available worldwide, however customers from certain countries are not allowed to create an account with Betsson. Check the following overview to see all regions where you are not allowed (orange) to open a 10bet account and where you are allowed (blue).